If you've read anything in the news about Skype recently, it probably hasn't been good. First, there was the controversy over the company listening to and recording users' conversations. Now, there's a new spam tool for Skype that can harvest usernames, see whether or not you're online, and even parse your log files. 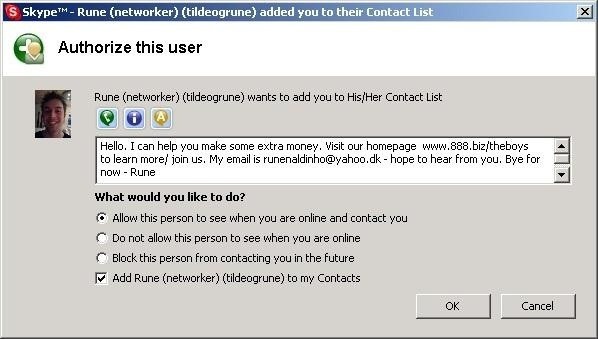 Basically, it's designed to trick you into accepting a message from a malicious user that contains some sort of scam. The worst part? It's being sold on underground forums for $10, so anyone can use it. The good news is that the tool in itself isn't a huge threat if you know how to protect yourself. It's mostly a matter of adjusting your settings and always being aware when a new update or feature comes out that affects your privacy. The first thing you should do is go to Privacy and set everything to "people in my Contacts list only." This ensures that no one can call or IM you without your permission. It also doesn't hurt to uncheck the box that allows advertisers to target ads based off of your profile information. You can also choose how long you want Skype to store your conversations, if at all. Obviously, your safest bet is to choose no history so that your chats are deleted each time you log off, but if you want or need to keep them for any reason you can choose the length of time. If you've already been contacted by someone you think is trying to scam you (or just want to avoid that really annoying ex), you can block them by right-clicking on their name. 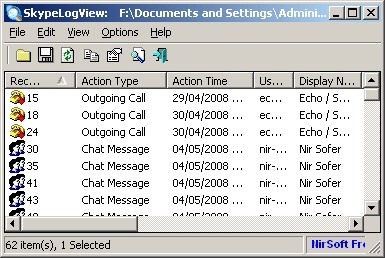 If you ever think there's a possibility that your account has been compromised, you can use SkypeLogView, a small, simple program that lets you see a detailed report of all the incoming and outgoing calls, IMs and file transfers made on your account. It's also a good idea to periodically delete your call and chat history and encrypt your messages for an extra layer of privacy. And now that your account is secure, why not have some fun? You could try autotuning your voice or using the hidden smileys that aren't included in the menu. Has your Skype account ever been hacked or spammed? Tell us about it in the comments.